Puma has apologised for using terms associated with drug culture following backlash after an event that took place in London last week. Social media users had accused Puma of glamorising drug culture at a time of increased concerns around knife crime in London. The activation was part of Puma's global "Run the streets" campaign. It hosted 220 consumers in a Soho venue to celebrate young London entreprenuers. Puma apologised for the use of the words "trap" and "trapping" in the invitation to the event. The terms are commonly associated with drug dealing. 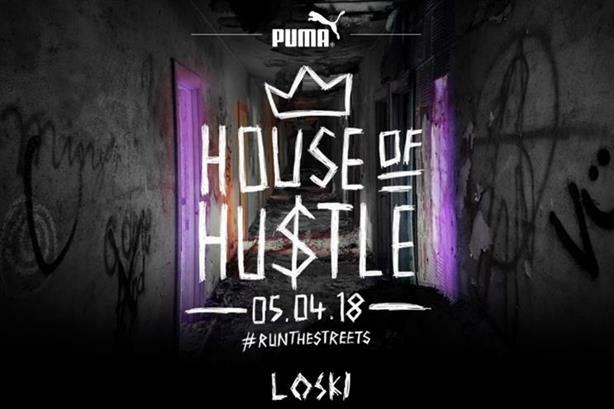 The full statement reads: "Last week, the Puma House of Hustle set out to celebrate youth culture in line with our "Run the streets" campaign. The campaign is designed to highlight young entrepreneurs who use their skills and talents to build businesses and have an impact on culture, whether it is through making jewellery, music, photography, or other creative pursuits. "In our invitations to the event, we used the terms 'trap' and 'trapping' with the intention of the colloquial interpretation of 'hard work' and 'hustle' in a number of fields. Unfortunately, these words can in some contexts be associated with the illegal drug trade. "We want to make clear that Puma in no way endorses or intends to glamourise drug culture. We never intended associations with drug usage, drug culture or drug dealing in any way and we regret any misunderstandings in this respect. We apologise for any upset or offence caused in the usage of this language."